Tie-dying is a fun and creative craft project for many different age groups. While there is the classic spiral pattern on T-shirts, there are many other types of patterns from which to choose. Stripe patterns are a great way to make your tie dye unique, and they are not anymore complicated to make than other patterns. Tie dye kits come with many color choices, or you can make your own with procion dye and water. Roll the fabric loosely from the bottom up, making a tube shape. Tie pieces of string or loop rubber bands at different intervals across the fabric tube. The space of the intervals will change the look of the stripes. For wider stripes, space farther apart. For thinner stripes, space the strings or bands closer together. Make sure the strings or bands are tight. Put on plastic gloves. 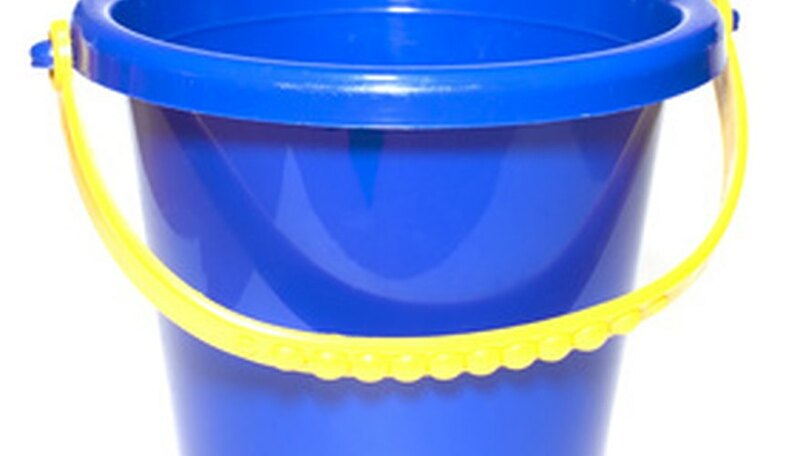 Mix a 1/2 cup of soda ash for 1 gallon of water in a bucket. Stir until the soda ash is dissolved. Place the garment in the soda ash mixture until saturated, squeeze out excess water. According to the How to Tie Dye website, this will make the colors of the end result much brighter. The garment can now be dyed. Mix the dye according to the package instructions if you are using a kit. If making your own dye, add one tablespoon of dye powder per 16 ounces of water to a squirt bottle using a funnel. Shake the squirt bottle to mix the dye. Apply the dye to the shirt in any pattern to make the stripes. Let dry for 12 to 18 hours. 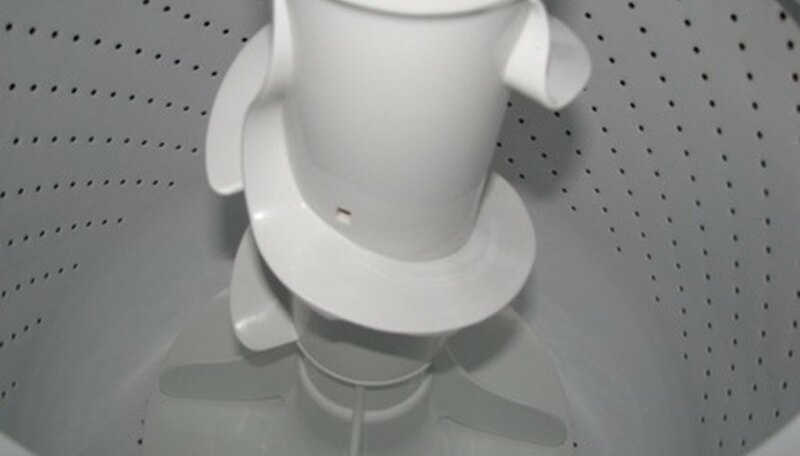 Remove the bands and wash separately from other clothes in hot water. 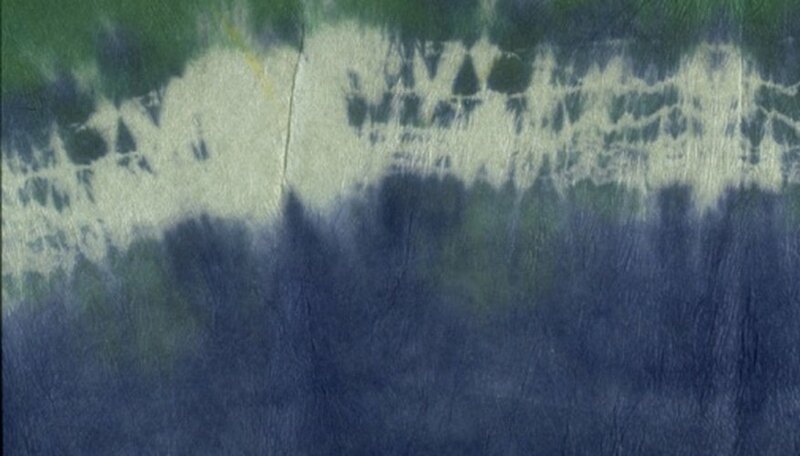 When letting finished tie-dyed garments sit, a warmer room will make the dye react faster than a colder room. Brittany Rouse has been writing since 2004, specializing in pet care, college life and gardening. Her work is published in the George Mason University student newspaper, "Broadside," as well as the GMU online publication Connect to Mason. Rouse is working toward a Bachelor of Arts in communication.